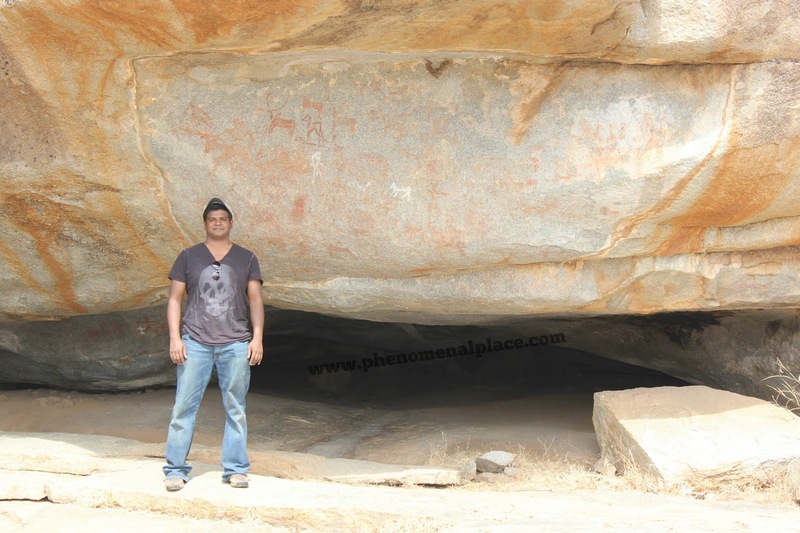 Just discovered UFO & Alien Evidence - Oldest Cave Paintings in India? 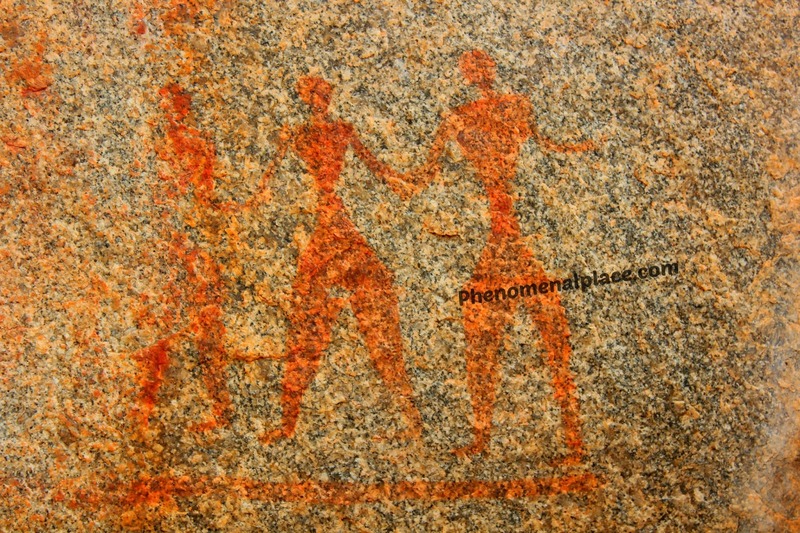 I have just discovered some brand new evidence of ancient aliens and UFOs, in India. 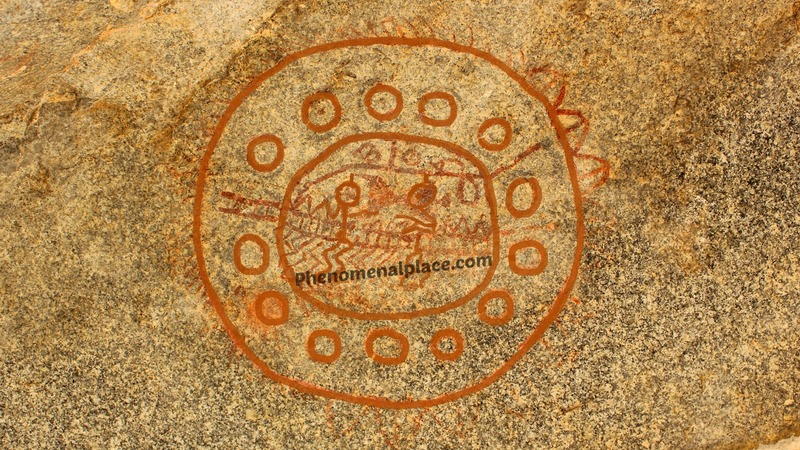 You are going to look at cave paintings of a spacecraft and ancient astronauts for the very first time. 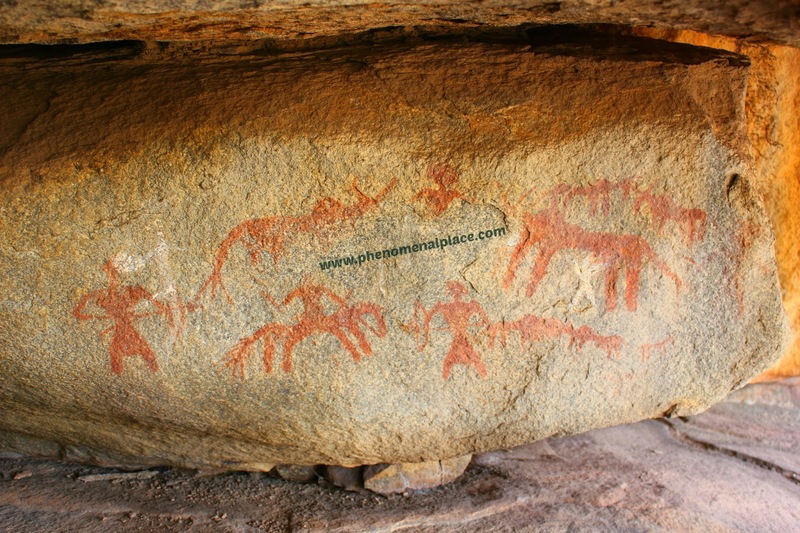 These cave paintings are in a remote village called Onake Kindi in the southern India. 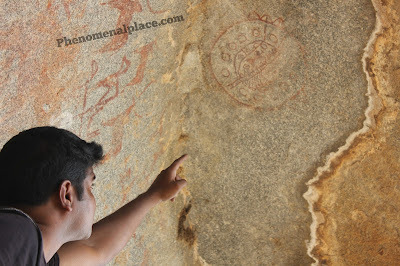 Remember, cave paintings of extraterrestrials were discovered three years ago in India, but the cave paintings I am showing you now is in a totally new location, which is 800 miles away. Watch the video below, or read on. These paintings not only show ancient astronauts, but also show the actual spacecraft, the flying saucer in which they landed. But is this really a flying a saucer, a spacecraft? Let us take a good look at what this painting shows: A large spherical object with 2 human like figures standing inside. They seem to be holding something like a ladder, as though to get down from the top. The legs of these figures are painted like waves, instead of straight lines. On top, there is a small chamber which seems to have some devices. It is a shame we can’t see the rest of the details, because the painting has faded away. Now, before we go any further, let’s take a step back and look at it objectively, like an archeologist. So, what could this possibly be? This cannot be a house, because cave men did not how to build a house, and even today it is nearly impossible to build a spherical house. This cannot be a wheel, and this cannot be a ladder, because they were invented thousands of years later. So what else could this be? 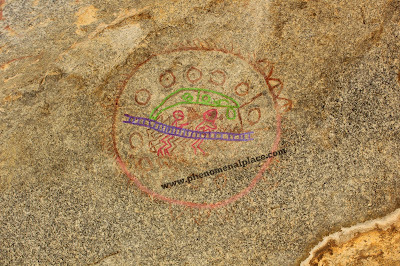 If cave men only painted what they saw, how could they paint such an advanced structure – a sphere with humanoids inside. And this is not even a simple sphere, it also has 10 smaller circles inside its circumference, strangely reminding us of a UFO. What else could this show, other than the scenario that these cave men saw extraterrestrials descending from the sky in a flying saucer? In fact, there is a much bigger clue in these cave paintings, that this spacecraft was seen in the sky. If you look at the entire cave, all human beings and animals are painted at your eye level, on a vertical plane, which shows they were all at the ground level. But the flying saucer is actually painted on top, on a horizontal plane, so you would have to look up to see it, showing that this is a spacecraft that came down from the sky. If extraterrestrials did come in a flying saucer and landed here, the cavemen would have also seen these ancient astronauts. If this is true, wouldn’t the cave men have also painted the ancient astronauts? So, I began searching the area for more cave paintings. Since the spacecraft painting can be seen only by looking up, the paintings of ancient astronauts may also be found by looking up. This means I should go under slanted rocks, and look at the ceiling. It turns out that there are more cave paintings, in the same area. And I find startling paintings that do look like astronauts. This figure has a rounded helmet with an antenna on top. It has 2 hands and 2 legs but it also has 4 wires coming out of its body. 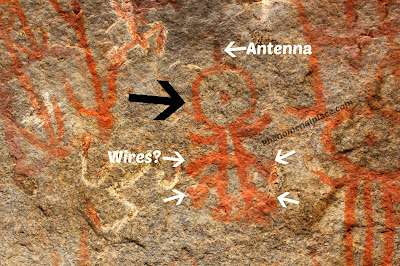 There is also a similar helmeted figure with an antenna nearby. We can’t help but think these are the same 2 astronauts, shown inside the spacecraft. This is incredible, because these figures look completely different from paintings about human beings. If we compare the astronaut like paintings with the rest of the human beings, there are lots of differences. The human beings are holding a stick or a stone tool trying to kill animals. They are always shown with 2 arms and 2 legs. There are no wires coming out of their bodies. 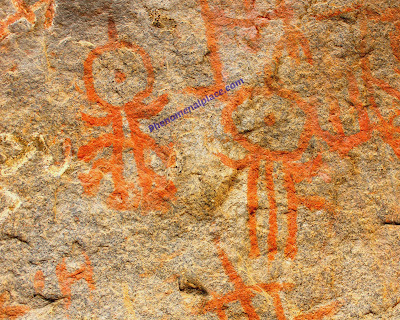 These human beings are not shown with round helmets, their heads looks like human heads and they don’t have antennas coming out of their heads either. So, if these figures are not extraterrestrials, what else could they be? Does this conclusively prove that extraterrestrials landed here and made contact with these cave men, thousands of years ago? What would have happened after the initial contact? Historians will refuse to answer these questions, but let’s look at human history for a minute. 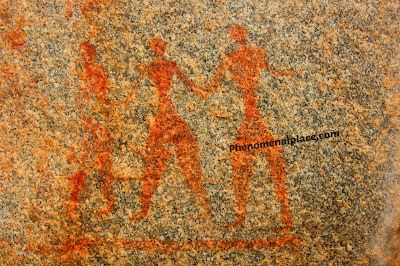 History books tell us that human beings began walking upright nearly 200,000 years ago. Yet, we remained as hunters, and behaved like all other animals for 99% of this time period! And remarkably, in the last few thousand years, we suddenly went from living in caves to reaching mars! This sudden change in gradual development is simply not possible, without an external catalyst being involved! In high school chemistry, we learn that chemical reactions are usually slow, but when a catalyst is added, the reaction rate spikes up dramatically. Did human beings also achieve a sudden spike in development, due to the arrival of extraterrestrials? 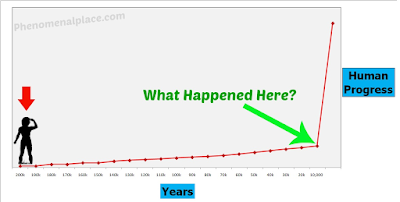 How else can we explain the rapid change of human beings from living in caves to building the largest megalithic structures in a very short time? This pace of technological advancement is impossible, without someone else teaching us how to create these structures. Did ancient astronauts who came in flying saucers, teach the primitive cave men to build these incredible structures? Is it possible that all human civilization began this way? I have searched inside the first cave as well, trying to find more evidence of similar paintings. I did not find anything related to the spacecraft or astronauts, but I will try to post more of what I found in a different video. I could possibly find a lot more evidence in this area, if I spend more time. Believe it or not, this whole area is private property located inside locked gates, so I was denied entry the next day, which made it impossible to find more evidence. 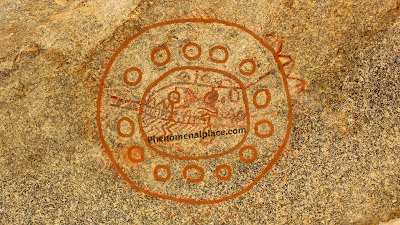 I wonder why such ancient prehistoric paintings are considered private property and how an individual can deny access to the public to view these wonderful rock art. Since historians and archeologists have no record of these paintings, I have been talking to the locals trying to understand what they know about these paintings. Sometimes, local stories reveal a lot more interesting information than what’s in history books. In my next video, I will show you more proof of extraterrestrials in a totally new location, and how local stories and new evidences conclusively prove that ancient astronauts landed on earth. So, what do you think? Do the paintings of the UFO and ancient astronauts prove that extraterrestrials landed on earth? How else can we explain this spherical object with humanoids sitting inside? Who are these helmeted figures with antennas and why do they look very different from paintings of human beings? Please leave your thoughts in the comments section. Please do share this post with your friends, because this is a new discovery. This is brand new evidence that could change our history books which give us a limited perspective of what really happened in the past. Thank you Thomas, I truly appreciate your support. Have a great day! 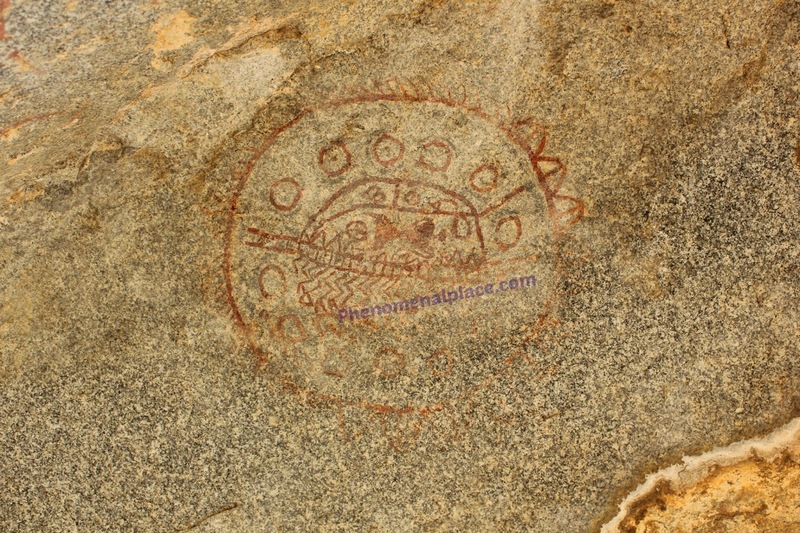 I had been into this subject from 1983, after reading the book ' Chariots of God's' by Eric Von DaniKan,since then I was researching on UFOs/ Aliens its encouraging to see people like you throwing more light on this subject based on ancient rock paintings in India, your video presentation and narration was good! keep up the good work. 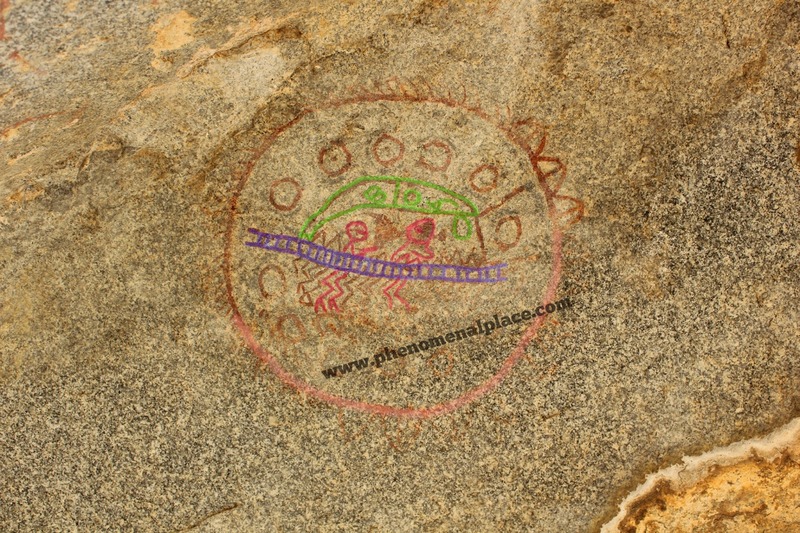 Very nicr, more prehistiry UFO evidence still there around 100 this site. Amateur archeologist. Hello Mr Mohan, I am following your theories day by day and as everyone else, I am also aprreciating the work done. One thing which I liked most about your description of the findings is that you already think what querries people can ask and you explain out every querry before hand before you finally conclude, this is unlike our historical ancestors who neither dare to listen to any query nor do they accept any other thought process. Kudos Mr Mohan, go on enlighening us.